Italy have been one of the standout performers of the Euro 2016 but not in a very attractive way. Instead, they have been solidly brilliant and the tactics of manager Antonio Conte has been spot on. Even though the manager is leaving the national team after the end of the tournament, he has not left any spot to weaken as a result. The team looks united and the tactics has been intelligent enough to stop the opposition from playing completely. It was the case when Italy took on Spain in the round of 16. Despite having been defending champions, Spain looked devoid of ideas largely because they were kept in check by Italy. In terms of soccer betting for the quarter-final between Germany and Italy, the latter seems to be favoured mode by bookmakers due to these aspects. Furthermore, Germany have never managed to overcome Italy in a major tournament. This week statistic alone is likely to be a major stumbling block, while Germany have not been convincing so far in the tournament. Of course, they have not suffered a defeat so far in any of the matches, but they have scored only six goals in four competitive games in France. English club side, Liverpool FC take on Spanish opposition, Sevilla in the Europa League final in Basle on Wednesday, with a place in the group stages of the Champions League on offer to the winner of the much anticipated encounter. Sevilla, winners in each of the past two years, will try to become the first team to win it three years in a row, setting an amazing record. Both sides had disappointing league seasons, finishing just outside the European qualification places, so this takes on even more meaning for both. For Liverpool, having qualified for the UEFA Champions League just once in the past six seasons, it represents a massive opportunity and a chance for manager Jurgen Klopp to win a trophy in his first season. 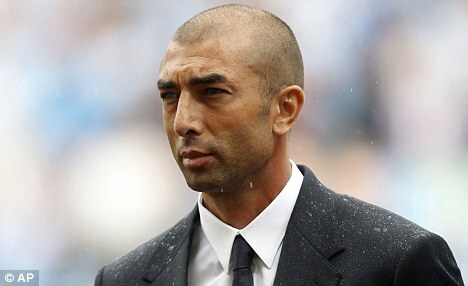 Roberto di Matteo is seen as the favourite next Aston Villa manager according to bookmakers. The Italian has struggled to make an impact at any club since leaving Chelsea in 2012. Despite spending only a short period with the blues,Di Matteo won the Champions League before leaving the club a few months later. In his managerial career, the Italian has been in charge of teams like Schalke, West Brom, and MK Dons. He is currently out of work after having left German outfit Schalke in the summer of 2015. Di Matteo has reportedly been looking at a potential return to English football without a proper avenue still not opening yet. Euro 2016: who’s going to win? The European Championship gets underway on June 10th and the continent’s top footballing nations will all travel to France as they seek to make a major impact on the world stage. This year, many believe that Roy Hodgson’s England are in with a sniff but it might be worth looking closer to home and specifically at Didier Deschamps’ imperious French side. With some speculating that Arsenal may be in deep trouble with their upcoming battles versus Tottenham and Leicester, there’s still plenty of evidence that’s showing otherwise and that they can in fact overcome them both to the Premier League title. This would be their first title since the 2002/2003 season but fans haven’t given up hope yet. While many have just flat out given up on Arsenal winning the Premier League title for this season, many are hanging on to hope claiming that naysayers are just rivals or other managers hoping to crush the spirits of everyone who wants them to win. Jamie Carragher believes the gap is far too wide to fix now and that there’s far too much for them to do to come back. Always go for a reputed site. If the soccer betting site is a new one, you will be better off avoiding it. Opt for sites that have been in business for a couple of years. This will ensure that you are dealing with a site that has a history of paying his customers. The worst feeling is making a bet, winning it and not getting paid for it. It is always a good idea to check what other people are saying about the betting site online. Just a quick search on Google will reveal what other people are saying on blogs as well as forums. You might want to search Facebook as well as Twitter for posts related to the soccer betting site. This will give you a better perspective on the betting site.